I mentioned a catchpenny print in an earlier post, although I didn’t explain the term. Historically, a catchpenny print is an inexpensively-produced image intended for the masses. 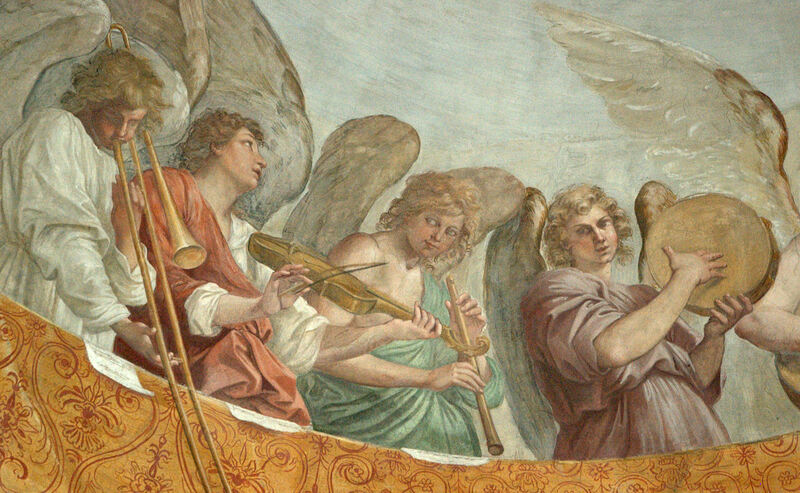 A number of them contained military characters, including military musicians. 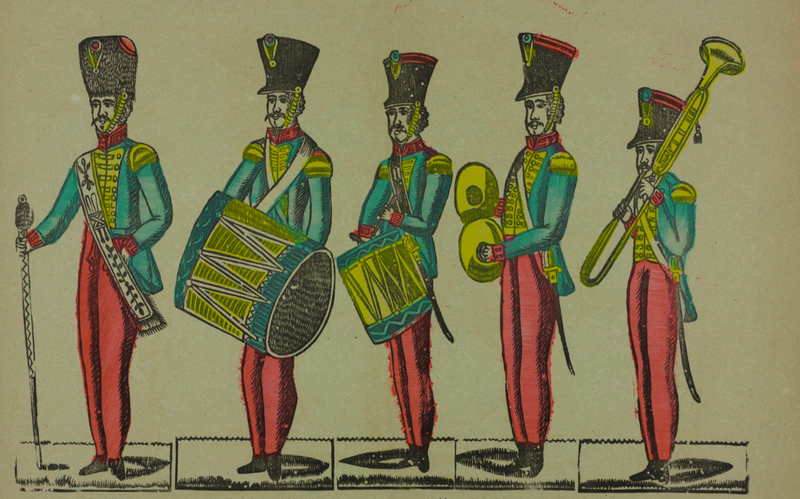 Here is another catchpenny print that features trombone, just added to the Trombone History Timeline (19th century—2nd half). For more rear-facing trombones, see this article. 1866-1897—The Netherlands: Printer Franciscus Anthonius Beersmans publishes a woodcut, Ten strijde! (“To battle!”), that features several Dutch military musicians, including one with a rear-facing trombone (see image below—click for larger version; public domain) (Catchpenny Prints of the Netherlands Royal Library).